West Nyack, New York - RustyBrick, Inc. latest app for iOS and Android once again shows how technology can make Jewish life easier. 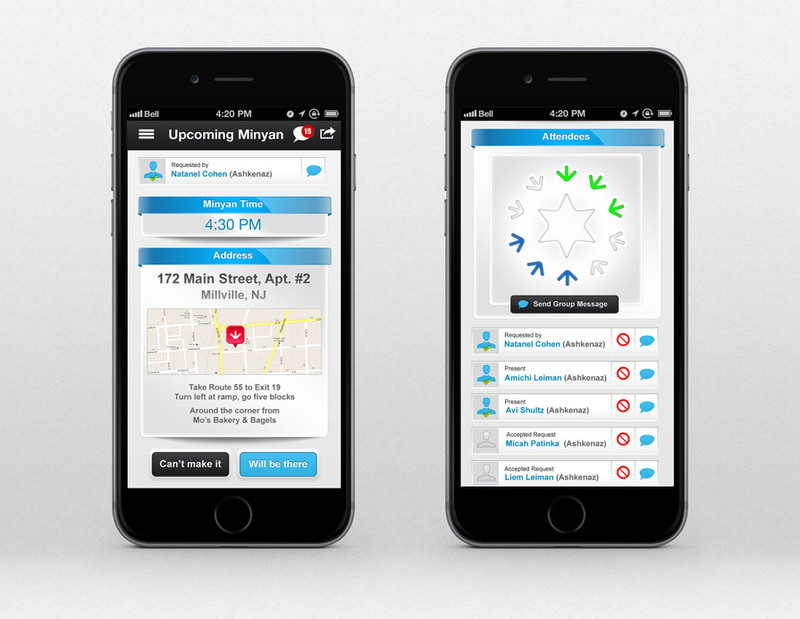 The Minyan Now iOS app and Minyan Now Android app allow Jewish people to create a minyan of 10 males over the age of Bar Mitzvah. A minyan is a quorum of ten Jewish male adults required for certain religious obligations, most commonly used for the purpose of daily prayer. Often, it is hard to find or "get" a minyan when traveling or while out at social events. This app solves that problem by pinging and notifying Jewish males in your immediate area that you are in need of a minyan. The app then facilitates the process of confirming the ten males, at a specific location, at a specific time. Once the minyan is confirmed and everyone is in attendance, the minyan confirmation will be sent out and the group prayer can then begin. This works great at airports, train stations, sports events, and other areas where there are likely 10 or more Jewish men, but no official shul or synagogue in the area. How often do you see a Jewish male standing in the corner at an airport terminal praying. In an airport like Newark, JFK and LAX, there are often hundreds of Jewish males at any point in time. At amusement parks, the same thing. This app will bring them all together for the purpose of prayer. A notification will be sent to anyone within about 10 minutes away, with the option for you to configure this setting to be a shorter or further distance. In addition, those who use our popular Siddur App on both iOS and Android will also get notifications, that they can turn off in settings or be used to download the Minyan Now app. You can download the Minyan Now app at either the Minyan Now iOS app page and/or Minyan Now Android app. The app is completely free and dedicated in memory of our mother, Esther Bat Yaakov. 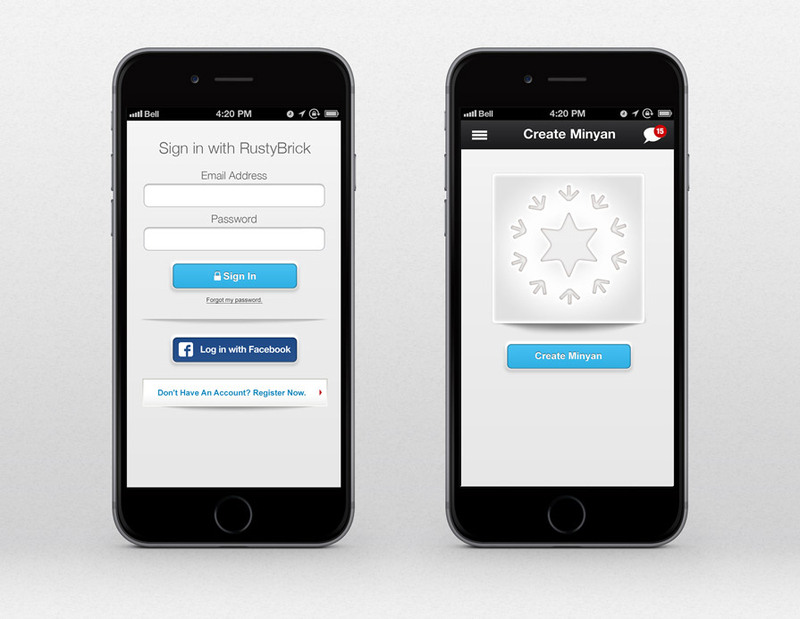 RustyBrick designs premier iPhone & mobile applications for the Jewish market. They also work with clients such as MTV, Harper HarperCollins, Comedy Central, Harvard University and many more. RustyBrick also designed the most popular Siddur for the iPhone at http://rustybrick.com/siddur and has some of the most popular Jewish apps at http://rustybrick.com/iphone, http://www.rustybrick.com/android & Glass Apps.